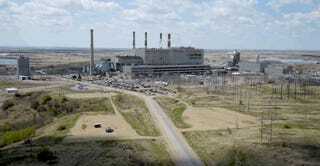 Canada switched on its Boundary Dam Carbon-Dioxide Capture and Storage (CCS) Project yesterday. In doing so, it has become the only country on Earth with a commercial-scale, coal-fired power plant capable of harvesting its own CO2 and sulfur dioxide emissions. The Boundary Dam project, in Saskatchewan, aims to capture and sell around 1 million tonnes of carbon dioxide a year – up to 90% of the emissions of one of its refitted power units – to oil company Cenovus Energy, which will pipe the compressed gas deep underground to flush out stubborn oil reserves. Unsold gas will be hived off to the Aquistore research project. Engineers have known how to do CCS for years, so while Canada's new plant certainly represents a milestone for proponents of clean coal, it's not the biggest achievement from a technological standpoint. That it's taken as long as it has to employ CCS on a commercial scale highlights an inconvenient truth about the technology, namely that it's incredibly expensive. There are hopes that lessons learned from the Boundary Dam Project will make implementing CCS in the future more affordable, but whether the technology catches on (and it will need to, in a big way, if it is to have a significant impact on global emissions, what with coal-burning accounting for 43% of the world's total CO2 in 2012) remains to be seen. You can take an interactive, choose-your-own-adventure style tour of the retrofitted Boundary Dam plant at the Saskpower website. Read more about the project at Nature and The Guardian.